Uh-ooh. A scientist. If you’re a scientist on the X-Files and the episode starts with you, this doesn’t bode well. Chances are you’ll be dead in 90 seconds. It’s a bit like the curse of those crew members on Star Trek ships that you’ve never seen before, and then they die. Mulder: Ok just gonna steal the victim’s phone then and call all his friends. Experience tells us that when Mulder meets strange men in dark pubs, this rarely ends as expected. I bet he didn’t see that coming, though. Mulder finds that the Department of Defense is still a pain in the arse hogging all its super secret information. But it’s ok. Skinner’s got your back. Surveillance videos now come in colour – I bet you didn’t dream of that in the 90s. Also, nice to see that someone upgraded Mulder’s office with a flatscreen TV, especially considering he hasn’t even turned up for work in about 15 years. OH SOD OFF, ENOUGH ALREADY. 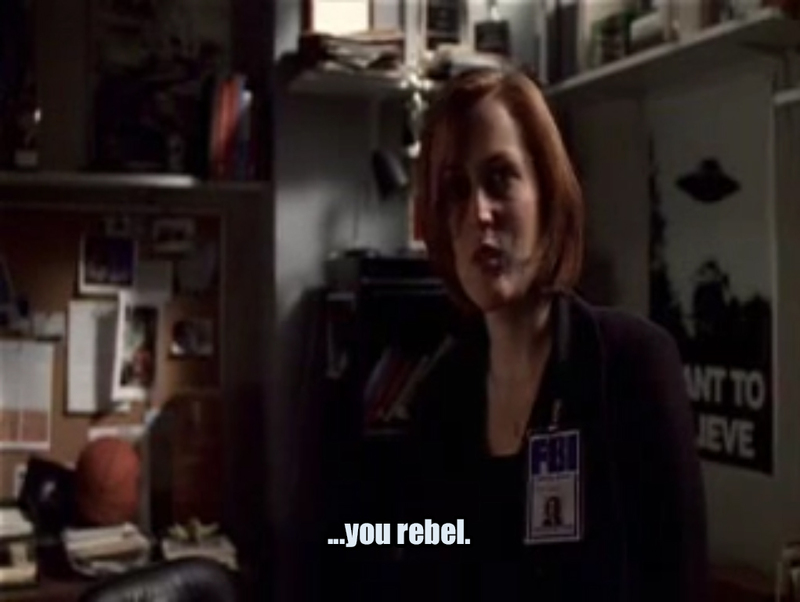 Whenever we see Mama Scully, there’s so much of the real Gillian Anderson coming through. Just look at that smile! Remember back when the syndicate was doing weird experiments with human-alien hybrids? Do you think they ever stopped? Well, clearly not, so let’s go on about all that again. Actually, this is a nice fresh angle on the old hybrid story. And I can see a definite influence of the superhero obsession of recent years in these unnaturally beautiful children with special powers… But hey, if we’re talking superheroes, I’m game. It’s a bit of a shame that they just left it there. These children were the most interesting part of the plot and they only got dropped in for the last few minutes. I want to know more! Well, I guess they’re out there. As is the truth – it’s all good. 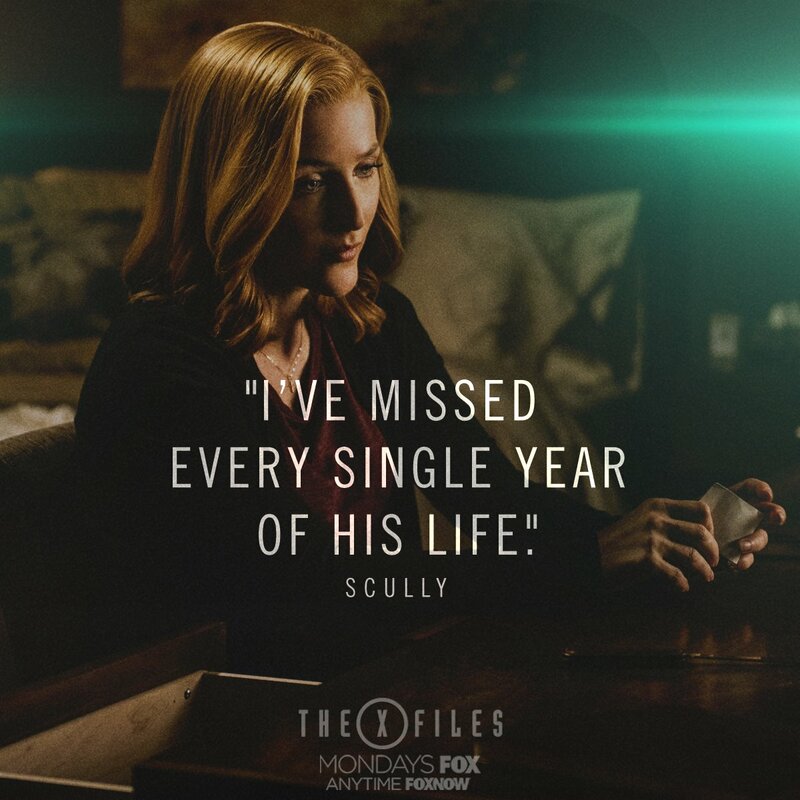 Papa Mulder. This is too much. Diary, this is getting better. I’m excited about next week!